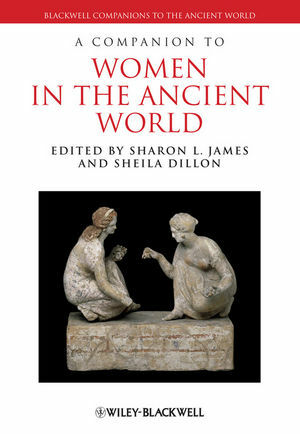 A Companion to Women in the Ancient World presents an interdisciplinary, methodologically-based collection of newly-commissioned essays from prominent scholars on the study of women in the ancient world. Sharon L. James is Associate Professor of Classics at the University of North Carolina at Chapel Hill. She is the author of Learned Girls and Male Persuasion: Gender and Reading in Roman Love Elegy (2003), and the forthcoming Women in Greek and Roman New Comedy. Sheila Dillon is Associate Professor in the Department of Art, Art History & Visual Studies at Duke University with a secondary appointment in the Department of Classical Studies. She is the author of Ancient Greek Portrait Sculpture (2006), and The Female Portrait Statue in the Greek World (2010).